Established in the year 2011, Retcomm Solutions is the leading Manufacturer Wholesaler and Trader of Sofa Set, Rest Stool, Wooden Chair and much more. Owing to their attractive characteristics such as attractive design, accurate size, and outstanding finish, these offered products are credited amid our customers. Under the leadership of our guide Mr. Sujoy Chourasia, we have conquered marvelous growth in this competitive market. With our constant efforts, we are able to provide highly advanced range of products which is superior in quality and are perfect in finishing. These are manufactured under the supervision of experts and are largely provided for various applications. Our unmatched varieties of products are quality assured and are safely distributed on large market scale with a motive to achieve complete clients satisfaction. We are offering a broad array of wooden products to our valuable customers at market leading prices. 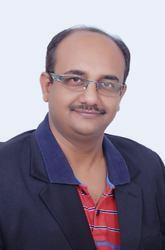 Sujoy Chourasia is a Retail professional, who has slogged in the corporate world for past 22 years in Sales and Operation of Various India MNC’s like Sify, Pantaloon Retail, Reliance Retail etc., they're after opened his own enterprise in the field of furniture development design and delivery. Hi, Company Retcomm Solutions “Karigar” is based out of New Delhi Kirti Nagar, with specialization in Designer Sofas and office chairs and Desking products. Once you have selected your FURNITURE from our brochure, you can make an appointment with one of our Project Consultants who will give you expert planning and design SELECTION advice. They will guide you through the styles and designs and will even visit your home. At (Karigar) Recomm, our focus is on quality renovations with high value to the homeowner. believe in timely delivery, keeping in mind the cost. A designer offers an extra set of eyes, but these eyes are trained to see and notice things that you may not. A designer can keep you on budget and save your time and effort.